Below is a photo of the area beneath a streetlamp carving a hole in the pitch black night. This was taken on an isolated country road. 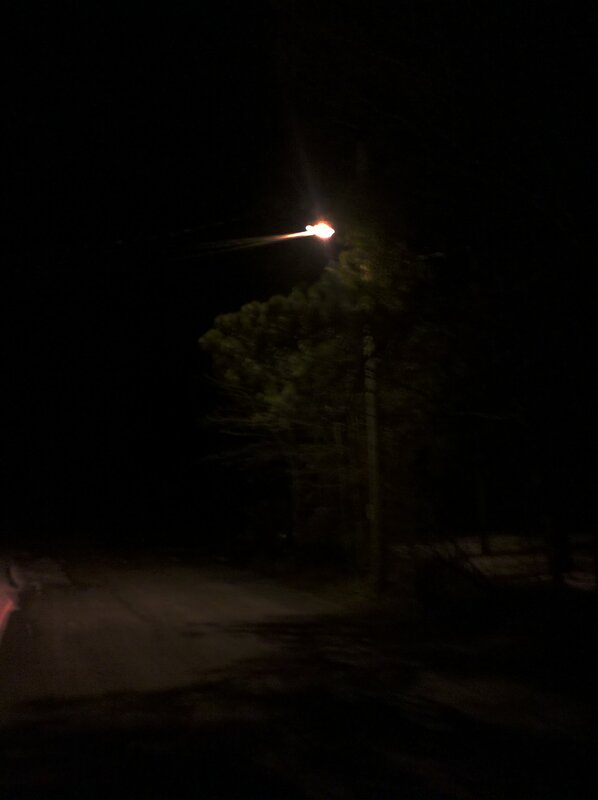 Staying in the light is usually a good idea, but walking along a road like this with only small circles of lighting where the streetlamps erase the darkness is not very comforting. Whenever you walk under one of these patches of illumination, you are making yourself clearly visible to whatever waits just outside of the circle.